Sainsbury's capitalised on its sponsorship of the Olympic Anniversary Games this weekend to engage and foster a collective sense of team spirit among staff. 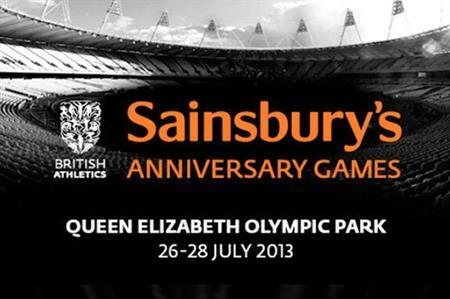 Many of Sainsbury's staff were involved in the Olympic Anniversary Games, which took place at the Queen Elizabeth Olympic Park from 26-28 July 2013, on the anniversary of the London 2012 Opening Ceremony. Prior to the Games, a competition was held for staff to enter to win tickets to watch the athletics and many staff members were involved in leading athletes out on to the tracks and presenting medals. A spokesperson for Sainsbury's said the aim of the activities was to foster team spirit and pride and engage staff, building on the momentum generated by Sainsbury's sponsorship activity during the 2012 Paralympic Games. Sainsbury's CEO Justin King has said that the decision to sponsor the Paralympics has left the Sainsbury’s brand in a "warmer place than it has ever been". In 2012, Sainsbury's invited 5,000 employees to the Olympic Park, which was more than any other London 2012 sponsor. The lucky group was chosen following a company-wide competition that invited them to say why they or a colleague should be chosen to represent their store, office or depot. Sainsbury's 150,000 staff also showed their support for the Paralympics by wearing special T-shirts designed by two colleagues and all employees took part in mass photo sessions across the country, synchronised for 10.45am. The aim was to celebrate the Paralympics while simultaneously highlighting the achievements of its own staff.